During the fair, we showed visitors the internal and external values of our products: “Our concept is to show something new to existing and potential customers at every fair and to initiate topics that can help light metal casters to improve their companies,” stresses Rudi Riedel, manager of StrikoWestofen and product development. Thus, the manufacturer of thermal process technology presented highlights at booth 714 in hall 7: the new dosing furnace “Westomat Plus+”, the filling and transport system “Schnorkle” and the melting furnace “BigStruc”, which was designed to meet the requirements involved in the casting of structural components. As a world first, a new self-cleaning transfer launder was presented. As an English proverb says, “Pressure makes diamonds“. And that the correct pressure is beneficial for casting too is shown by the largest European specialist fair for die-casting technologies. StrikoWestofen will present its new products in this field during the fair. This will allow a lively exchange of information between manufacturers and users and enable them to expand networks and form ideas – personally and in situ. StrikoWestofen relies on the further development of proven technologies and of new ones. “Die-casting fairs provide us with the ideal platform for exchanging information with experienced specialists. The resulting feedback and know-how flows directly into our research and development work,” Riedel explains. 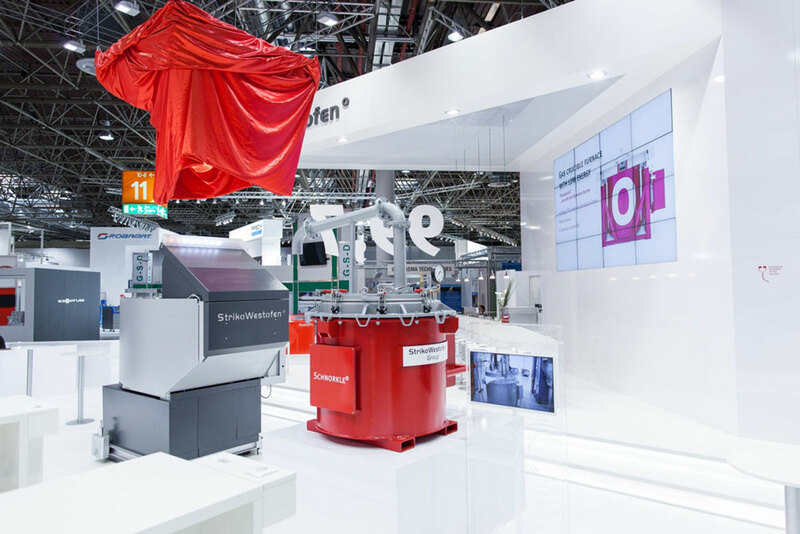 This is why, on a surface of 100 square meters, StrikoWestofen will present topics of special interest to die-casters: the new dosing furnace “Westomat Plus+”, the pneumatic transport and filling system “Schnorkle” and the “StrikoMelter BigStruc”. The latter allows large returns such as those occurring in the casting of structural components to be included in the melting process. The new development of a self-cleaning transfer launder between dosing furnace and die-casting system presented here for the first time will be available for new systems and for retrofit. In this way, StrikoWestofen closes one more link in the optimized process chain which the molten metal undergoes throughout the casting process. The new “Westomat Plus+” with its slim design has been optimized technically and offers an excellent quality of the melt at low space and energy requirements. The reduced surface minimizes heat losses caused by thermal radiation. The new closed transport system “Schnorkle” not only makes it easier to handle liquid metal; “Schnorkle” also keeps temperature and quality of the melt constant. With no contact to the atmosphere, “Schnorkle” prevents undesirable oxide formation. In addition, the heat loss is minimized. “We can’t wait to present our highlights to the visitors live,” says Riedel happily. 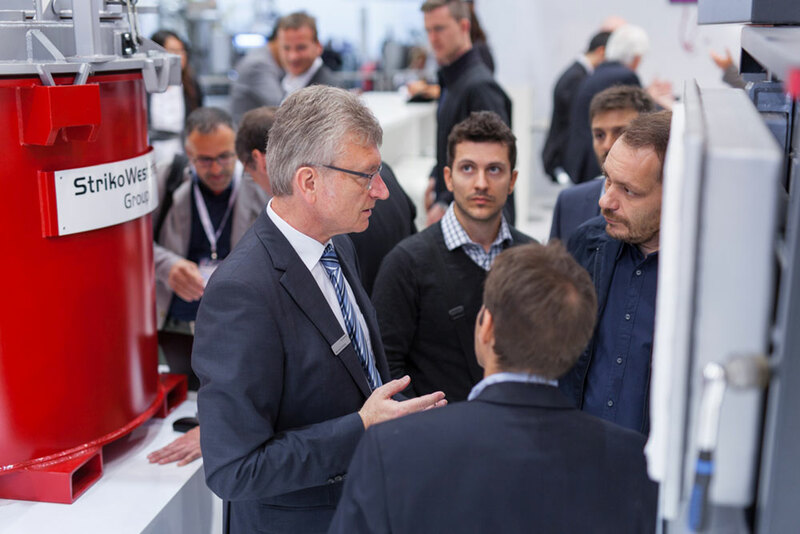 Specialist visitors to the “Euroguss 2016” will find StrikoWestofen at booth 714 in hall 7.